…would have killed every automotive journalist in the L.A. Convention Center. 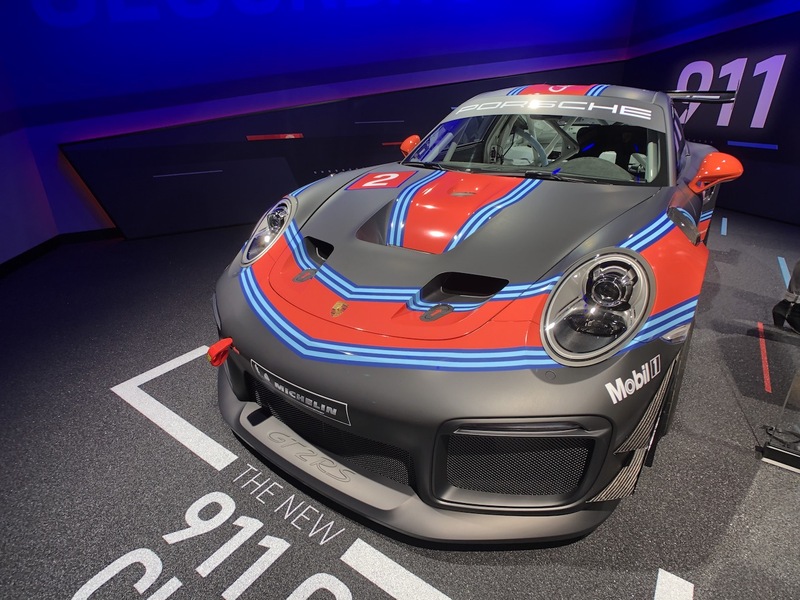 The new Porsche 911 GT2 RS Clubsport had its first coming out at the 2018 Los Angeles Auto Show on November 28th. 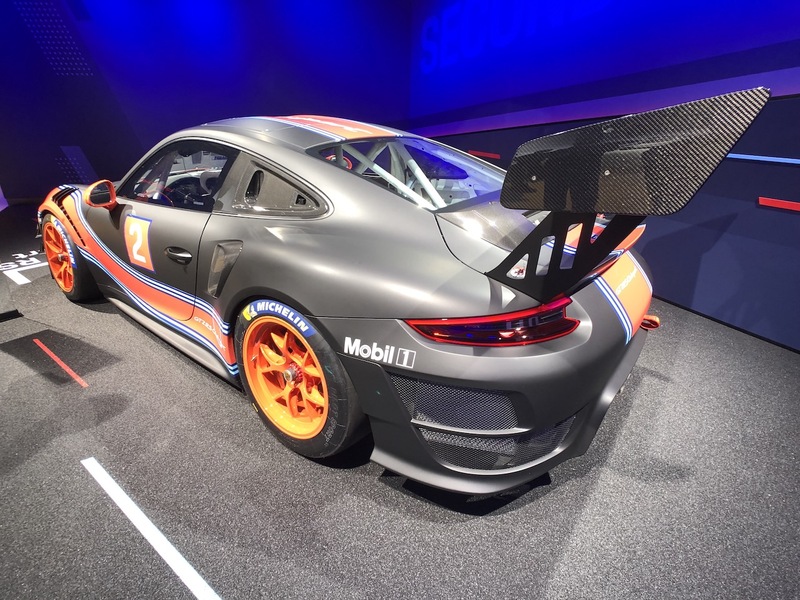 Porsche says they are only in for 200 of the 700 hp racing version of the street-legal 911 GT2 RS sports car, for now, as everyone is going to want one of these, and money talks. Eligible to run at clubsport events, PCA track days and selected motorsports events, lucky owners will simply have to hone their skills when it comes to saying “no” to folks lined up for hot laps. But forget lapping days. As one of the premier motor racing marques in the world, Porsche doesn’t think small potatoes as hinted: “For the upcoming years, our customers will not only race the GT2 RS Clubsport during open track days but also at international motor racing events. We are currently holding very productive talks with the race organizer SRO,” says Dr Frank-Steffen Walliser, Vice President Motorsport and GT Cars. 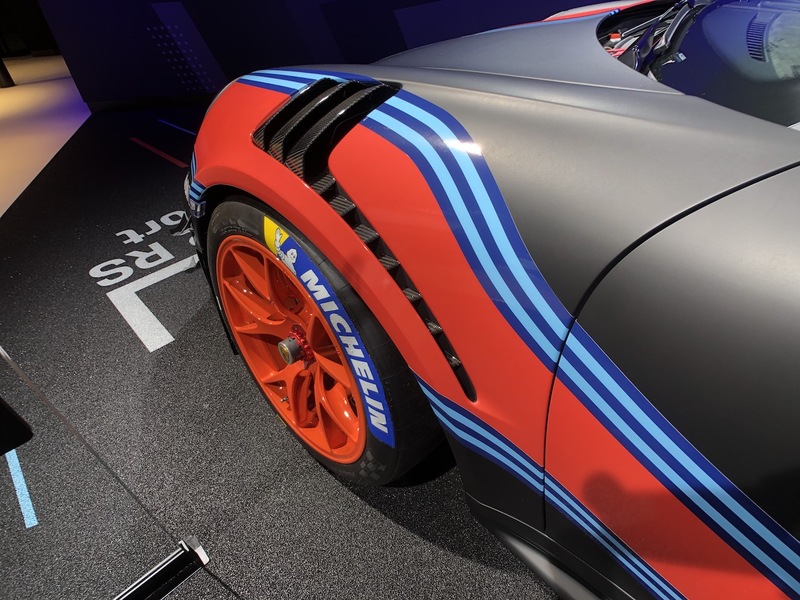 The Porsche 911 GT2 RS Clubsport is based on the high-performance series production 911 GT2 RS sports car, just like in the 935, which was recently unveiled at Porsche Rennsport Reunion VI in September. Both share the same engine as their road-legal relative: a state-of-the-art 3.8-liter flat-six twin-turbocharged engine. Power from the boxer powerplant is transferred via a rigidly mounted seven-speed Porsche dual clutch gearbox (PDK) to the 310 millimeter wide rear wheels. 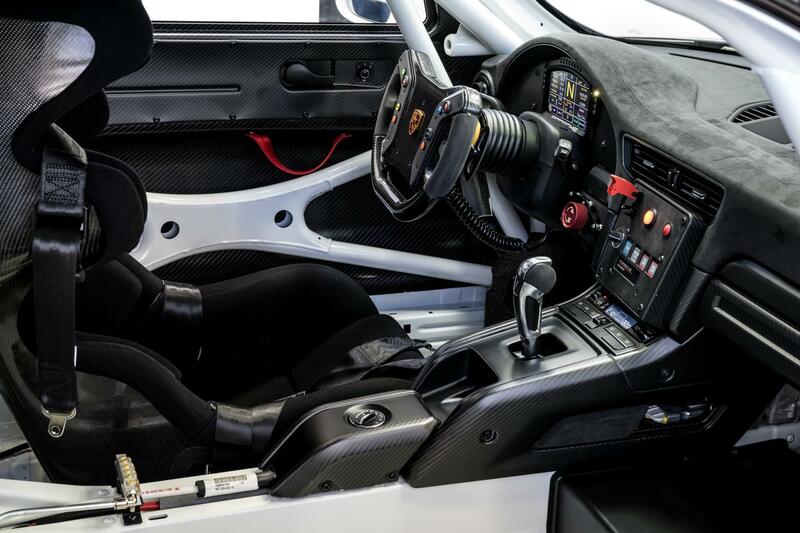 Like the street-legal 911 GT2 RS, the 3,064 pound Clubsport version is equipped with PSM (Porsche Stability Management) including traction control as well as an anti-lock braking system (ABS). Thanks to a map switch positioned on the center console, these assistance systems can be adjusted separately or switched off completely depending upon the race track situation. Sweating that next 200 MPH corner? Worry not, as this RS2 comes with air conditioning. 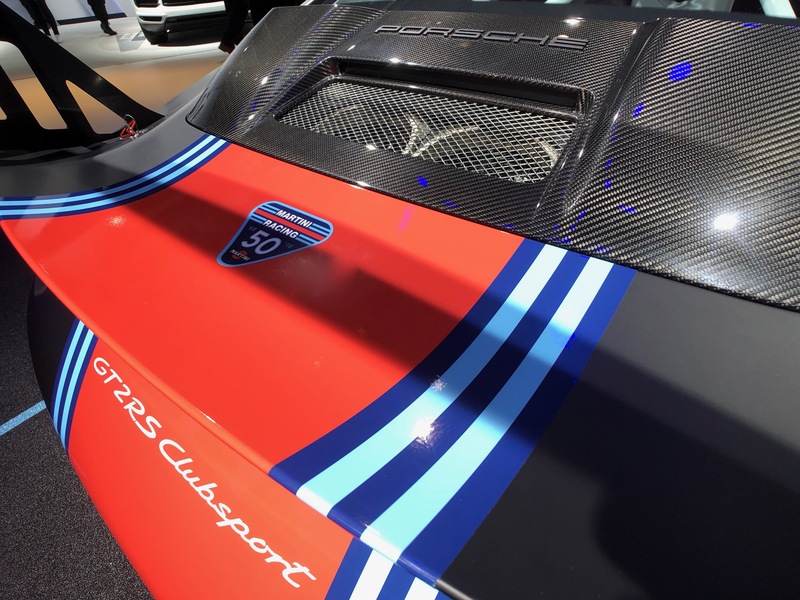 Porsche wisely chose to reduce costs by not charging for “ego boost”, which comes standard on the 911 GT2 RS Clubsport.